Hey guys, it’s Leigh Ann again from My Diary of Us! I’m happy to report that fall is finally trying to make it’s way to Texas and I’m craving all things comforting and cozy! Soups just so happen to be one of my favorite foods to eat whether its hot outside or cold, but there is something extra special about them when there’s a chill in the air don't you think? The smell of it simmering on the stove all afternoon just brings me so much happiness! 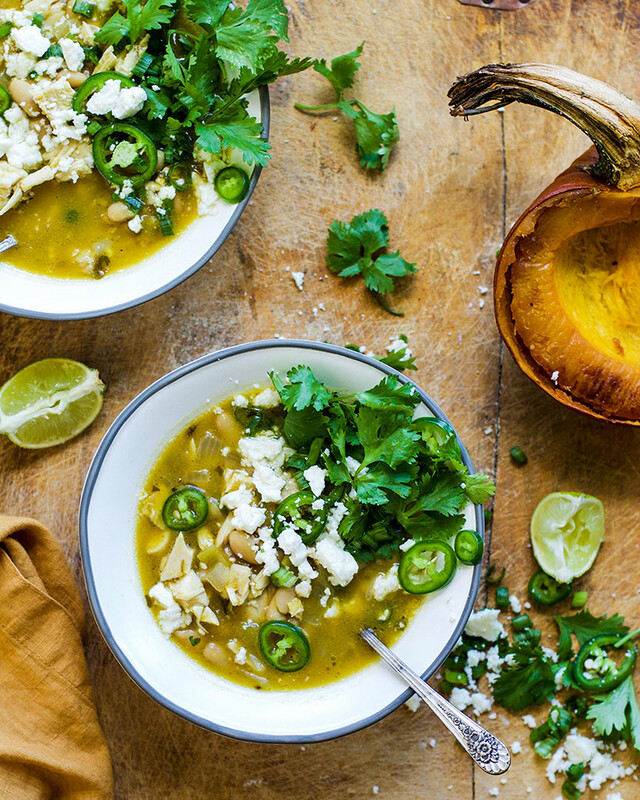 One of my favorite fall soups is a white chicken chili so I made it even more seasonal by adding pumpkin to the mix! 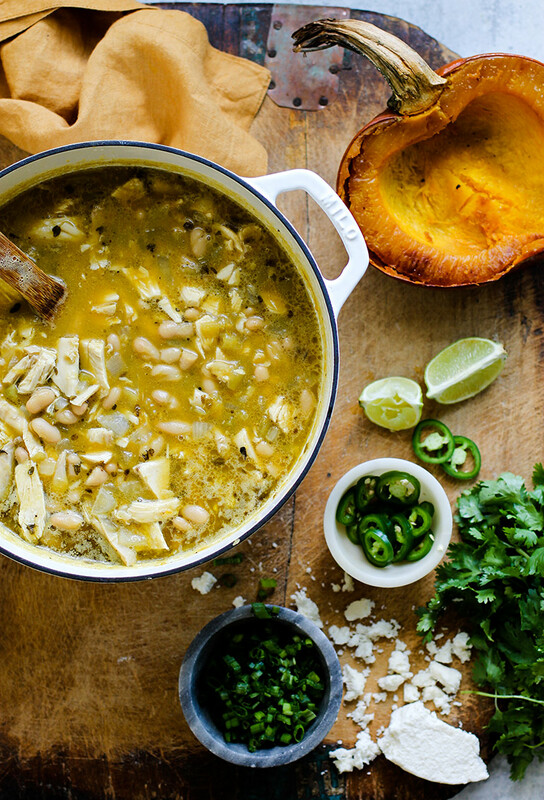 Say hello to my Pumpkin White Bean Chicken Chili that is the epitome of everything you love about this season! I am all about pumpkin recipes at this time of year (did you see my Pumpkin Sage Ziti I shared on IG yesterday? Soooo delish!) and I love pumpkin equally in savory and sweet dishes. The pumpkin not only adds an extra dose of nutrients, but it also makes this soup super creamy and luscious. You are going to love this spin on a classic fall soup. And there's just something so fun about roasting a real pumpkin, instead of using the canned stuff! This soup is an easy weeknight meal, but is also great for entertaining, game-day menus and more! 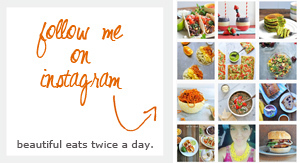 It’s kid-approved too and I love that the pumpkin adds a veggie to the mix! Can we say #momwin ? This soup makes for great leftovers and honestly gets even better the longer that it sits! You can of course eat the soup again as is or you can turn it into a whole other meal by topping it with some biscuits and baking it like a casserole! This can be done with store bought biscuits or homemade, but either way the biscuits transform this soup into a whole other meal which is pretty cool if you have people in your house that don’t like leftovers as is! Or serve with cornbread, as shown below. 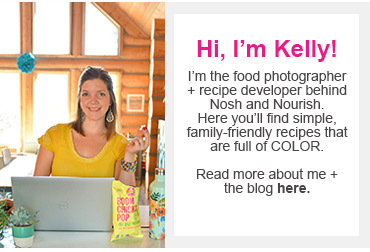 Try Kelly's Superfood Cornbread Muffins! Not only is this soup delicious, but it’s so pretty and is basically like a big food hug when you take a bite! It’s so cozy and warming, a must-try! * If turning into a casserole with biscuits simple top the leftover soup with biscuits after you put it in a baking dish. (The soup will be thicker in consistency the following day!) Bake for 25-30 minutes until biscuits are browned and soup is bubbling. Top with green onions. 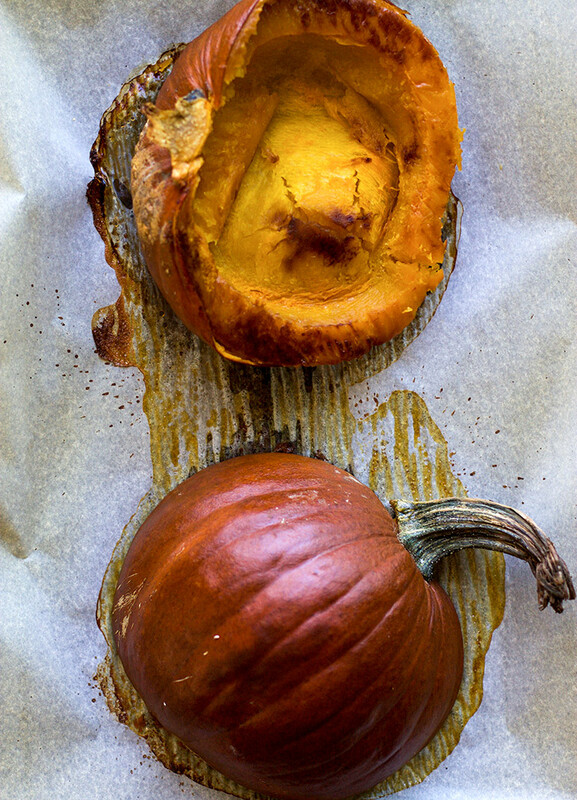 * If roasting pumpkin to make puree, cut in half, scoop out seeds and drizzle with oil, salt, and pepper. Place flesh side down on a baking sheet and roast for 45 minutes at 425 degrees until fork tender. Puree with a little chicken stock until you reach desired consistency. 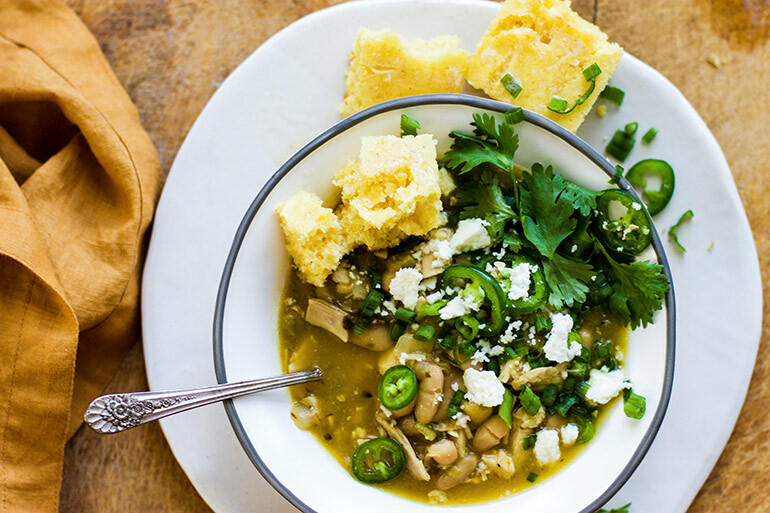 The next time you get a craving for a delicious soup, give my Pumpkin White Chicken Chili a try! Heat oil in a large dutch oven over medium heat and add green chiles, poblano, onion, garlic, salt, and pepper and cook until onions are translucent, 2-3 minutes. Add in cumin, oregano, bay leaf, pumpkin puree and stir to combine and slightly toast spices. Add in beans at this time along with chicken stock, lime juice, and chicken. To serve, top with extra lime juice, cilantro, queso fresco, and fresh jalapeño slices if desired.